New York City—Over 2,000 Transgender people and their allies rallied at the historic Stonewall Inn on Feb. 23 to denounce the Trump administration’s decision to cease to protect and defend the rights of Transgender students in U.S. schools. The crowd was strong, angry, and passionate. 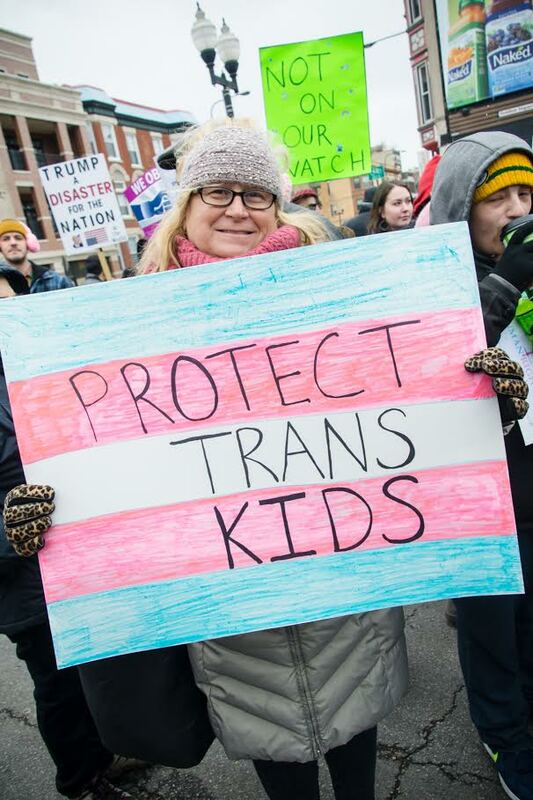 People chanted that they would not go back to the days when Trans youth were marginalized, bullied and harassed. A wide variety of LGBTQ groups organized the rally. This entry was posted in Articles and tagged Black people, Chicago, Latinxs People, LGBTQ people, Natalia Spiegel, New York, Stonewall Inn, Trangender People, Trump administration. Bookmark the permalink.